Plants are 3-6″ in height when planted and have flower spikes approaching 8-10″. 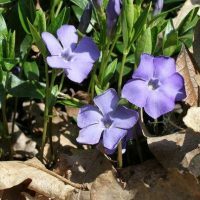 Carpetbugle (also called Blue Bugle, Bugleherb, Bugleweed, Carpetweed, Common Bugle, and Burgandy Lace) is a low growing semi-evergreen perennial groundcover that produces attractive 8-10″ spikes bearing purple-blue flowers throughout April and May. Commonly used and referred to as a ‘groundcover’, Carpetbugle is slowly invasive and most often used to cover bare places of ground and is dense in its nature of growth. 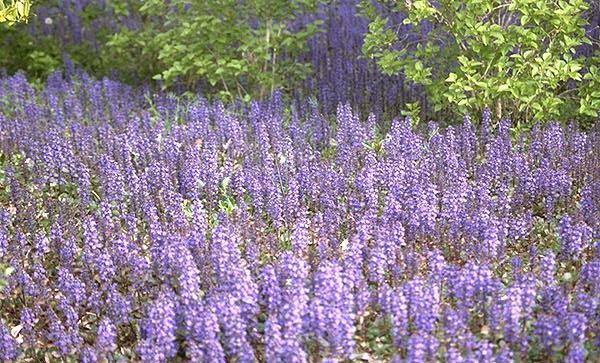 Carpetbugle can grow in shade to full sun which makes it ideal for filling large areas like banks and hillsides. 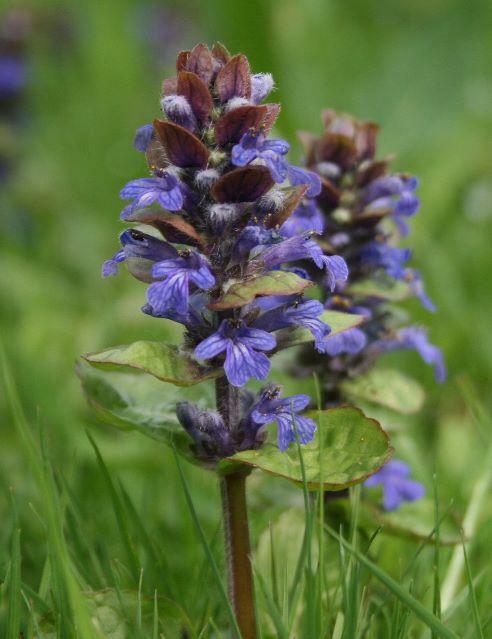 Originally native to Europe, Ajuga has a habit of choking out competing plants and weeds. Carpetbugle is excellent in preventing soil erosion. Carpetbugle also makes a great underplanting for a number of other plants and trees. Do not use it as an edging for the lawn, as it will easily spread into the grass. More planting instruction can also be found at boydnursery.net/planting/. Leaves: Leaves are dark to light green, bronzed, purple, or variegated depending on cultivar. Leaves have purple highlights that grow 2-3″ and radiate from the crowns and are obovate. Hardiness: Zone 4-8. For an idea of your plant zone please visit the USDA Plant Hardiness Zone Map. Habit: Invasive when planted near lawns or other perennials. Ajuga reptans spreads by stolons. Rate: Growth rate is slow. 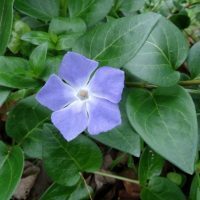 Flowers: Blue, purple, pink, or white flowers (depending upon cultivar) are borne on 4 to 6″ long stalks in peak blossom between May and June. Flowering stalks are square with small opposite leaves. 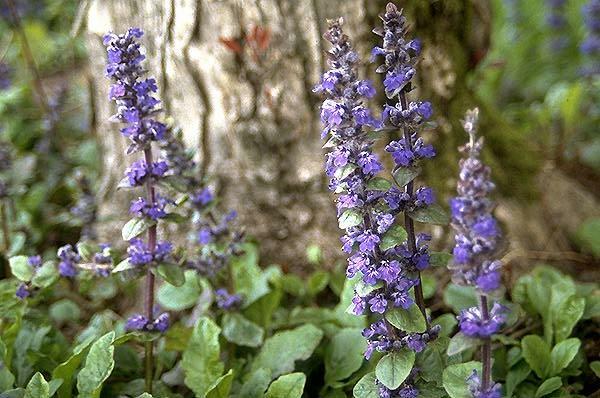 Landscape Value: Ajuga reptans makes an excellent slowly invasive groundcover with attractive vertical spikes of flowers in late Spring, and semi-evergreen foliage for year-round interest. 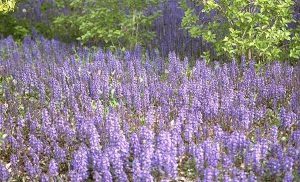 Does particular well in shaded areas and entranceways, forming a soft carpet of green leaves. Care: Weed-wack blooms down in late spring, early summer to promote a greener, more consistent groundcover carpet. Fertilization: Fertilize yearly in early spring with fertilizers rich in phosphorous.